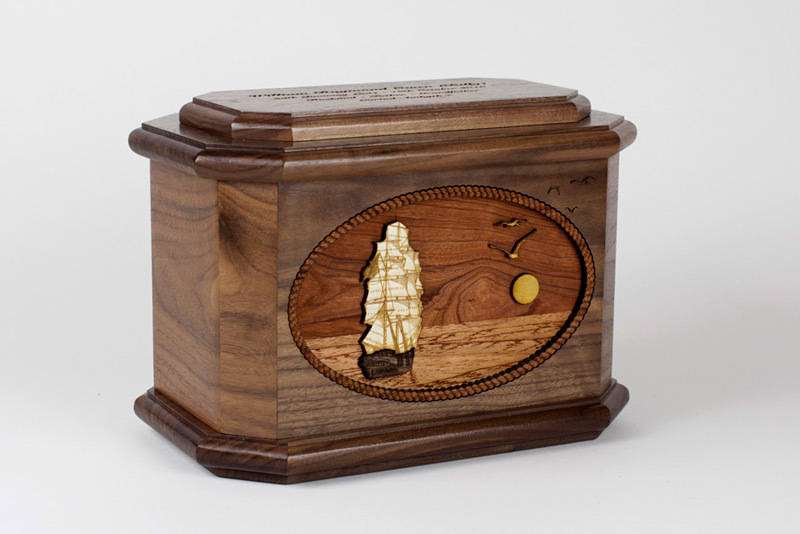 Here is the gorgeous Sailing Ship Octagon Wood Cremation Urn, just one of our many 3-Dimensional Inlay Art Series of premium wood cremation urns. 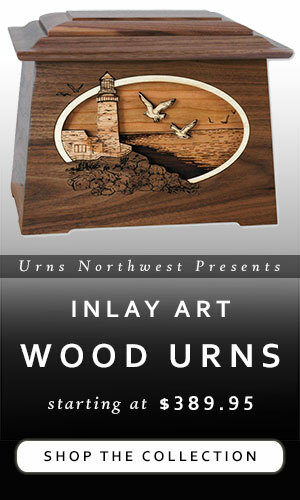 This memorial urn is crafted in the USA at an old-fashioned wood shop in Southern Oregon. 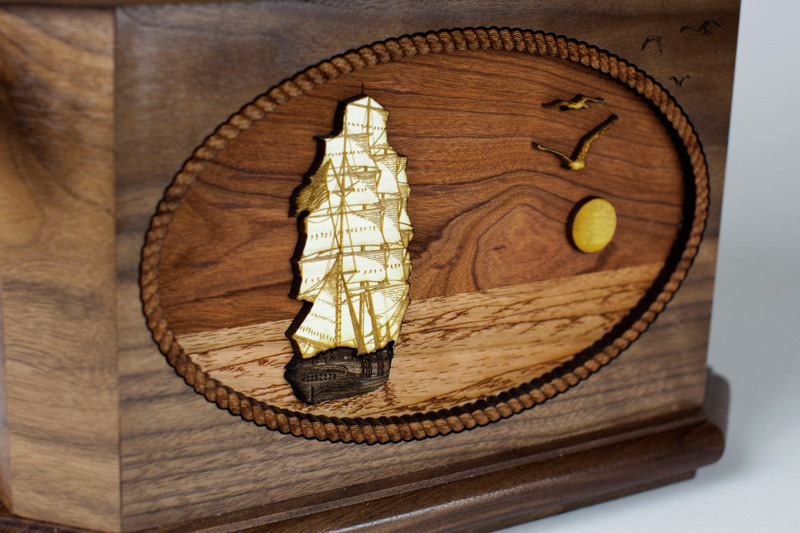 Using solid wood throughout, our woodworkers craft each inlay art scene with laser carved precision using a variety of wood types to create a lifelike sailing ship scene that truly “pops” in three dimensions. 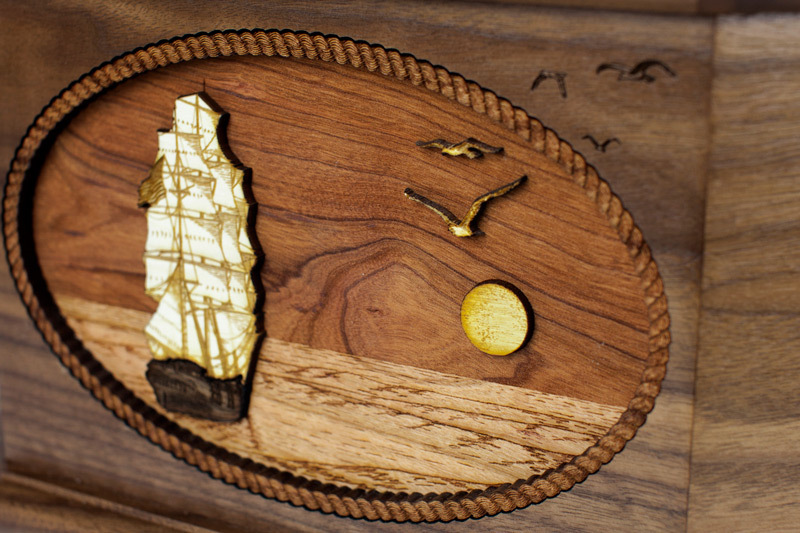 The wood box itself is hearty solid wood, shown here in Walnut but also available in your choice of Oak, Maple, or Mahogany woods. 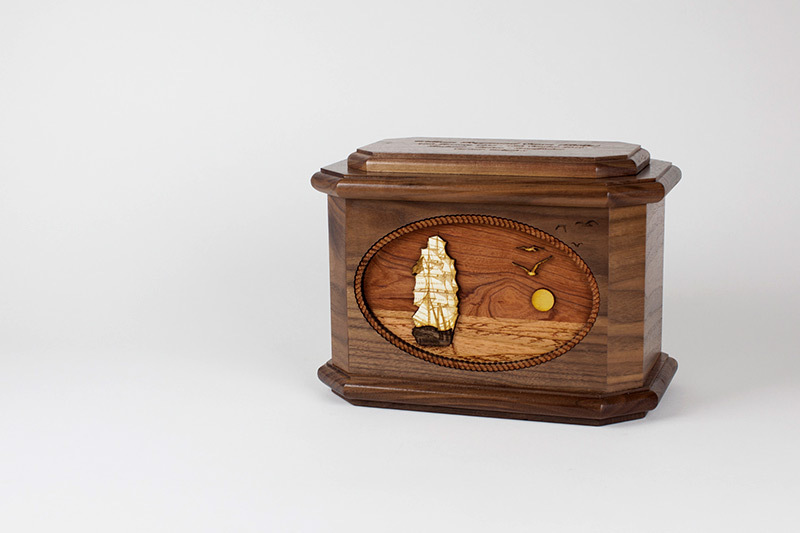 The octagon shape of the urn box presents a series of elegant lines that draw the focus to the sailboat ocean scene. 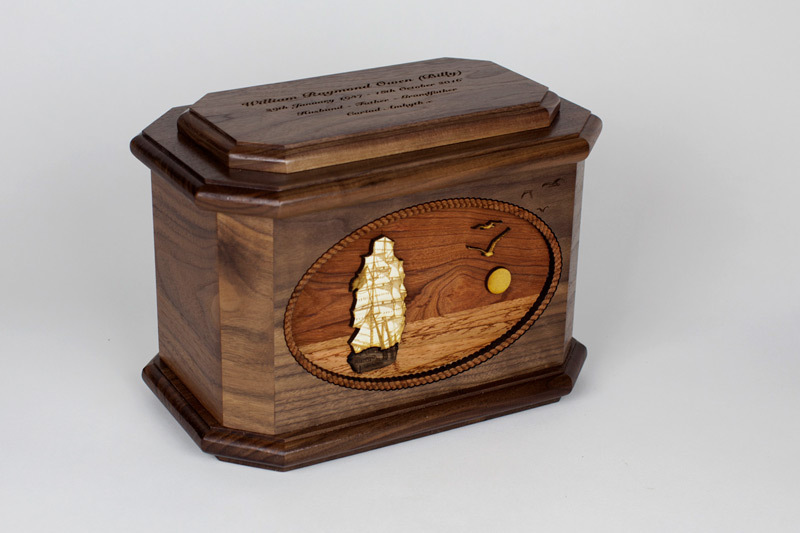 Optional laser engraved personalization is available, which we will etch directly into the wood surface on the top or back of the urn. 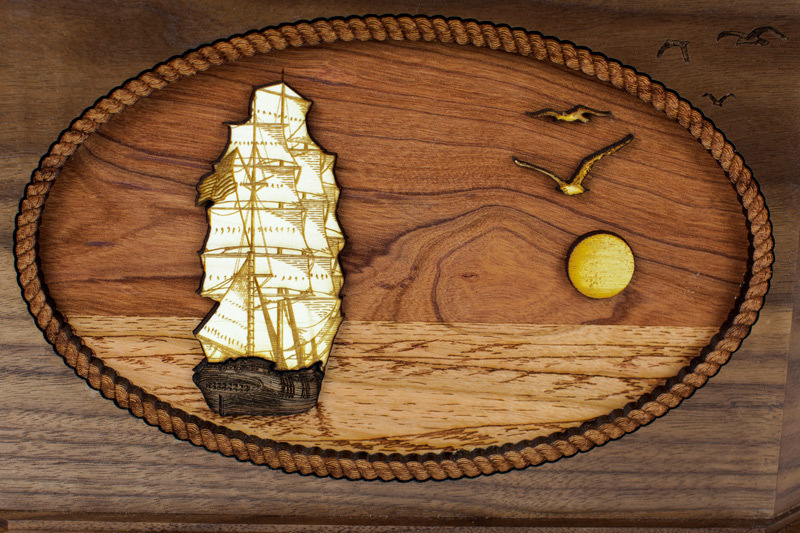 Let’s take a closer, 360-degree look at this Sailing Ship Octagon Wood Cremation Urn, shall we? 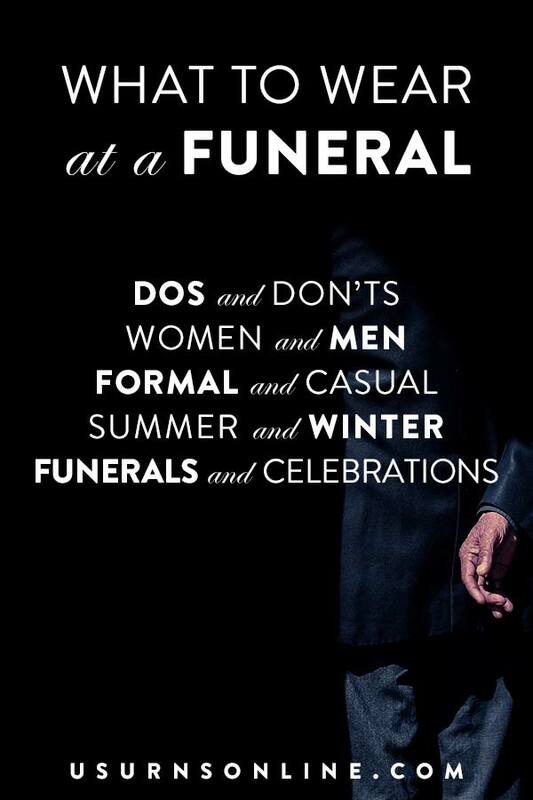 The video below will give you a good idea of the size, shape, and design of the urn. 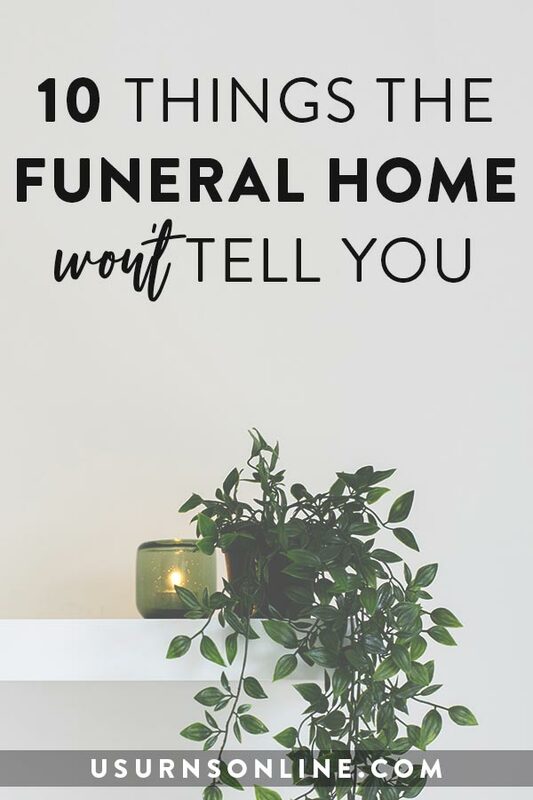 Now we will take a different type of tour around this urn using photos. 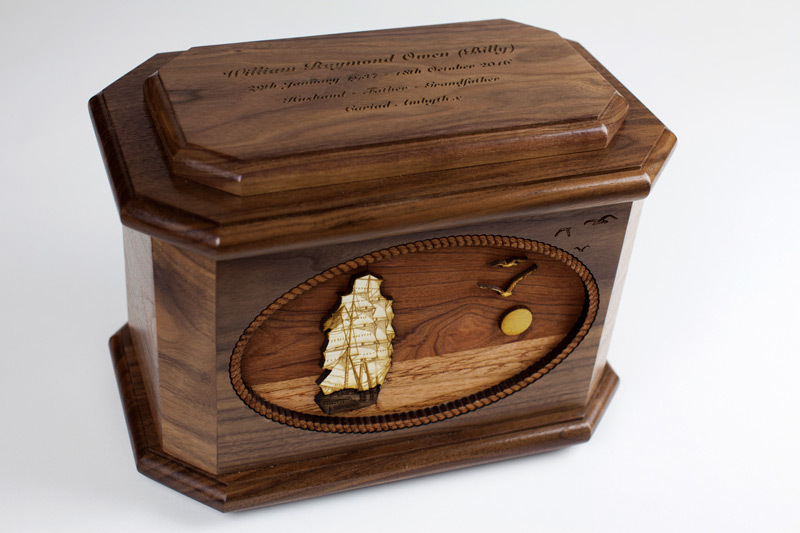 You can order this octagon-shaped Sailing Ship Cremation Urn here, and it is also available in a taller style with “vertical” oriented scene here. 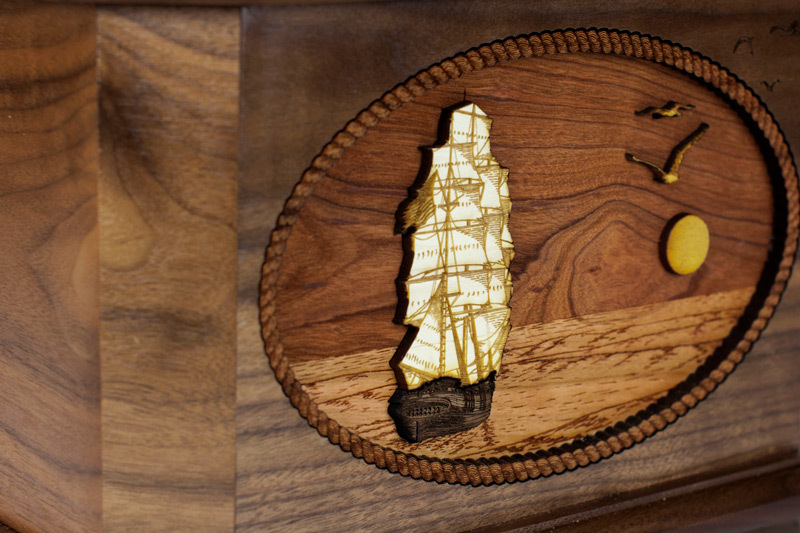 All versions are crafted right here in the USA, and all can be personalized with a custom inscription of name and dates which we will etch into the wood surface for a permanently personalized memorial. 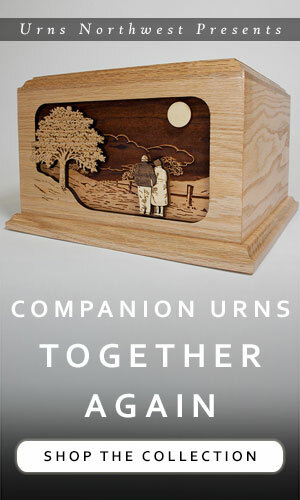 Companion Urns: What Size Companion Urn Do We Need?